This recipe may look strikingly familiar, because it is just a gelatinized version of this recipe. As written, it is a medicinal syrup for "noble lords who have authority over others but who are unable to control or master their anger, for by taking only one ounce of it, their rancour will be dissipated." I liked the flavors together very much, but felt that what it really wanted to be was gelatin. It's so wobbly! Especially if you've used gelatin extracted from beef hides. Chop rhubarb, add to pot with cinnamon stick, and simmer in water until it falls apart. 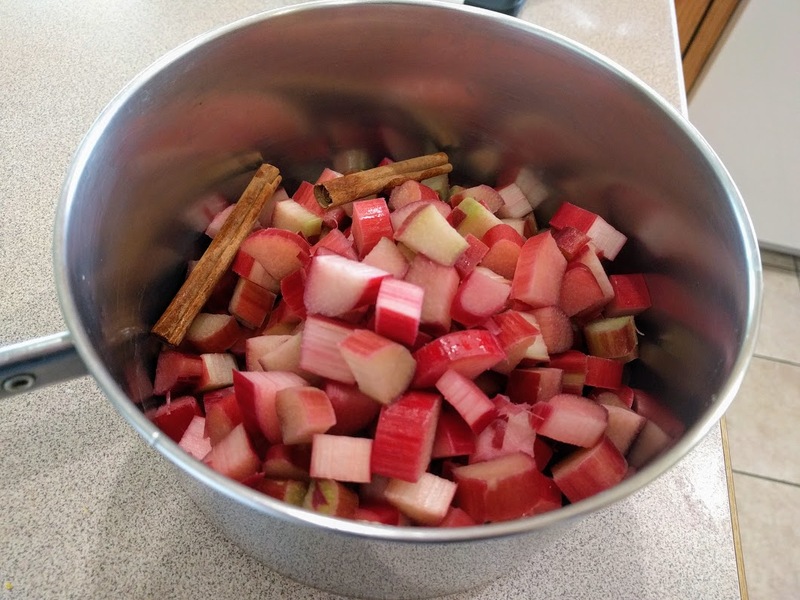 Strain, and add sugar, rosewater, and possibly more water until it tastes delicious. 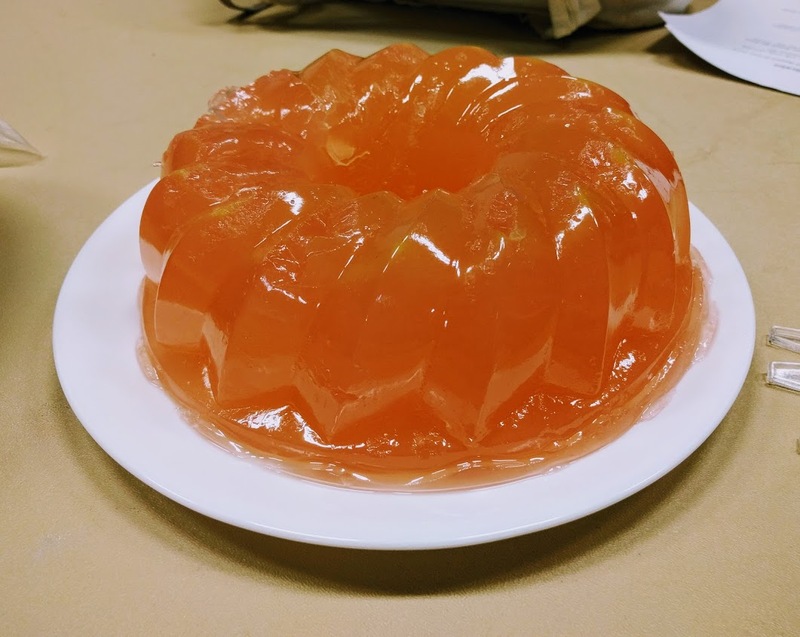 Follow directions on whatever kind of gelatin you are using to thicken. Verdict: Yum! Two guinea pigs said it was the best gelatin they'd ever had. Almost everyone liked it, except for two 7-year-olds who were unimpressed. A good number of people had seconds. My kids had seconds, thirds, fourths, fifths, and I frankly lost count. 0% of the men who consumed this gelatin expressed a desire to beat serfs or kick dogs, so I declare this to be a medical success.